Omega bead in .925 sterling silver, rhodium polished at the edges, brushed finish at the centre (bead available with bracelet, bracelet sold separately). 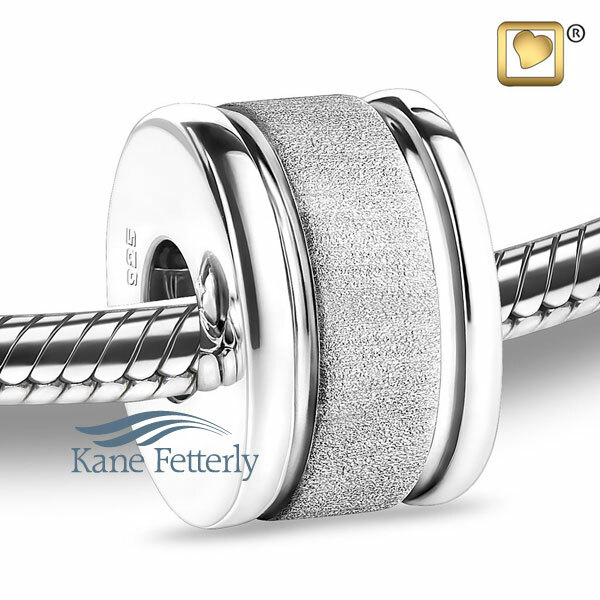 Compatible with all popular bracelets. 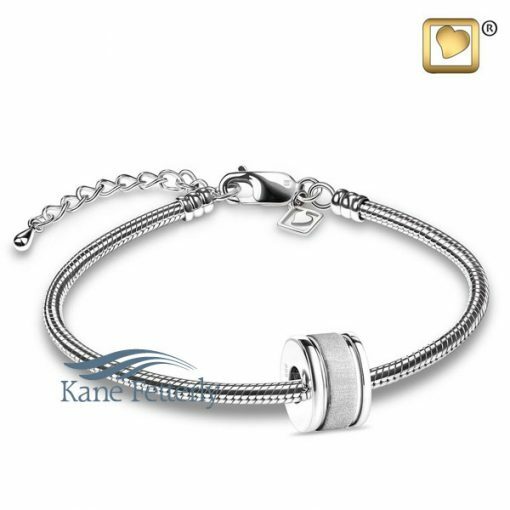 Bracelet in .925 sterling silver, rhodium polished, 7” long adjustable to 9”. . The bead features a small compartment designed to hold a token of ashes. Delivered in a jewelry box with a small scoop designed to transfer the ashes.